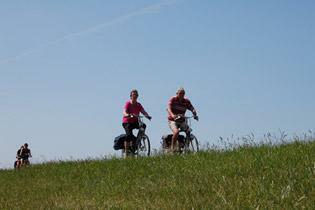 Now here’s a challenge for you: Cycle 439 km all the way around Lake IJsselmeer! 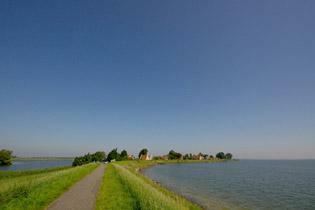 On the way, take in the beautiful scenery and learn a big lesson in Dutch history. This is a route along the loveliest and quietest roads and bike tracks a cyclist could possibly hope for. The historical landscape around the former Zuiderzee, the many old fishing and trading towns on its shores all have a story to tell. This tour is marked by diverse and attractive scenery.